Based in Gujarat, India, we are a prominent Manufacturer, Exporter and Supplier of Studding Outlet Flange. We design Studding Outlet Flange conforming to the set industry standards. 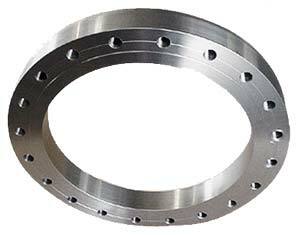 It is a mating flange ideal for vessels or tanks. This flange provides the strength and safety the vessel code requires. Our Studding Outlet Flange is widely applauded for superb quality, great strength, dimensional accuracy and exceptional durability. We make available Studding Outlet Flange in all flange sizes and pressure ratings.